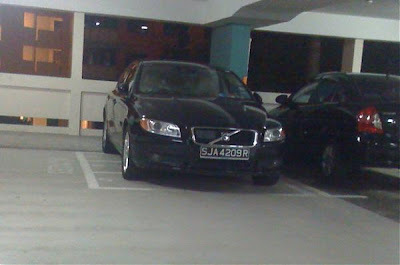 UJ18: This person had parked at the carpark lot located behind blk 19 Ghim Moh Road. I have always been enduring this kind of inconsiderate driver(s), but I guess today is the time to do my duty as a Ghim Moh Resident! First of all, not only this person parked on the lot that painted with "NO PARKING" sign, then he/she DO NOT HAVE the decency even to park the car properly. 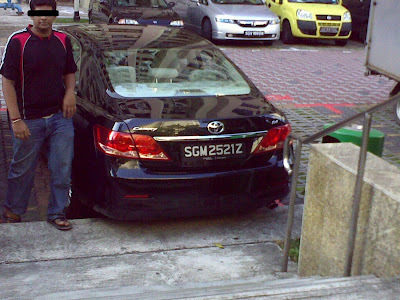 The person next to the car is another victim like me who had to make a big round to walk pass the car because of his/her driving skills and inconsiderate actions. SS: Please show others how idiotic this person is. Got to know of this blog. 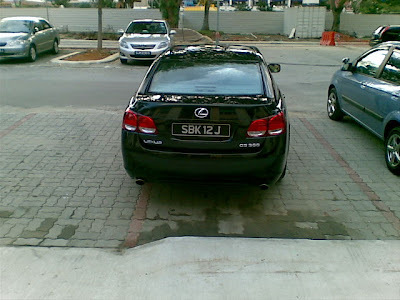 Just want to post this picture of a inconsiderate driver often parking his car across another car park. Caught him doing it a couple of times and he didn't even bother apologizing and walked away with his car across two carparks. 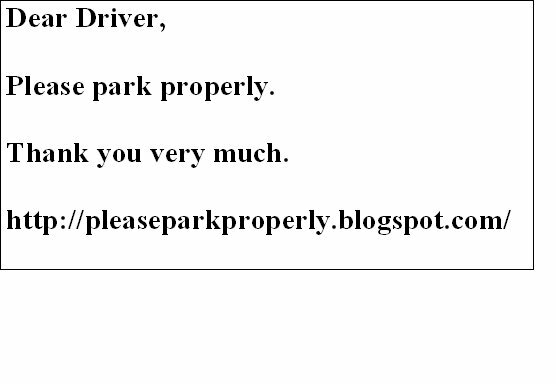 Description : I believe that this irresponsible car owner has been parking his car in the motor-cycle lots everyday. 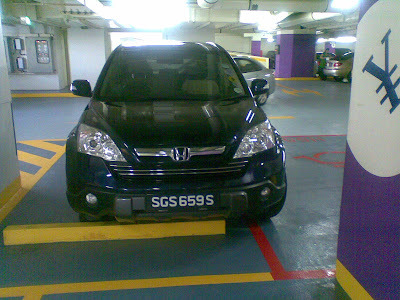 They were many car park lot but very few motor-cycle lots, yet the driver still so inconsiderate. K: This joker parked overshot to the handicapped lot, if in the event there is a handicapped person parking head in like him, there will not be enough space for the handicapped person to come out from his or her car. LK: This very inconsiderate driver simply parked over the line and the other lot was already at the extreme end of the car park. So I had to squeeze myself into that lot. 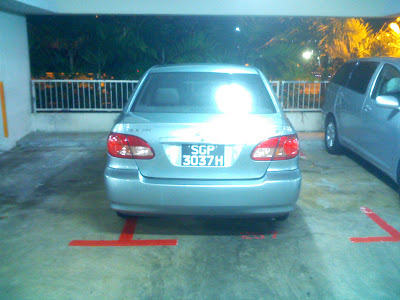 He/She shouldn’t be depriving other cars of lots, especially when parking lots can be scarce in NTU. 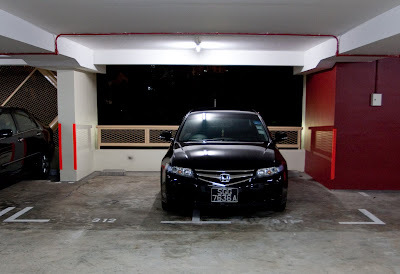 Victim: This irresponsible driver parked his car in the motor-cycle lots. 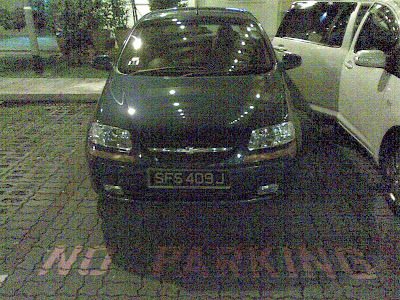 There were many car park lots but very few lots for motor-cycles, yet the driver still so inconsiderate. 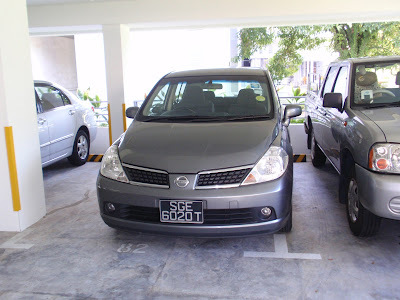 K: This joker parked at a no parking lot, thus blocking access to the block, the handicapped residents were not able to wheel through and had to use the other path about 30m away. Very inconsiderate. off quite a bit to leave behind a gift. 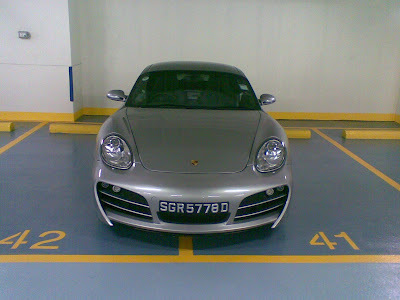 K: Seems like this porsche driver doesn't know how to park properly at all. One small car took up 2 usable lots. Very irresponsible. 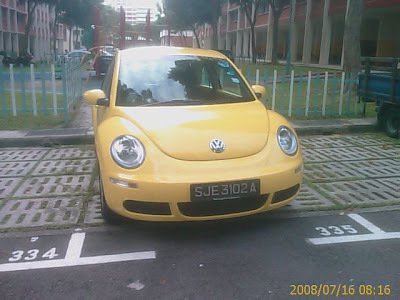 WS: Yellow VW parked with rear extending into next lot (no 334 in picture) which happens to be a corner lot with kerb. 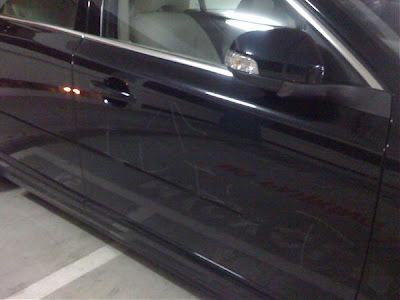 The car was parked that way since previous evening and picture was taken next morning. Lot 334 was essentially unused throughout the night because of this inconsiderate driver of the VW. This is not the end. This is not the beginning of the end. This is the end of the beginning.